implants, TMJ treatment & general dentistry. Let Us Widen Your Smile! Your health and comfort is always the top priority. Chicago dentist, Dr. Ronald Widen is dedicated to providing the highest quality aesthetic, cosmetic and functional dental care in Lincoln Park, Chicago using innovative technology! When you need something looked at in a hurry, just call. We can see you within the week at our Chicago dental office, same day for emergencies! Looking for that personal touch? Our low volume, high personal care office will see that your dental treatment is completed with few interruptions. We run on time, Chicago dentist, Dr. Ronald Widen only schedules one guest at a time, so you can get in and get out without the waiting. Call us for your next dental appointment. Broken, chipped, stained teeth hindering your smile? If you are unhappy with your smile we can help you. 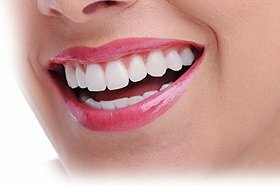 Porcelain veneers can change your smile in as few as two visits. We change lifes one smile at a time. If you are missing teeth and are unhappy with your appearance we can help. Replace your missing teeth with dental implants that look & feel natural. Dental implants can help you smile more confidently. Do you suffer from headaches, migraines, jaw pain or clicking of your jaw joints? You could be suffering from TMJ dysfunction and we can help eliminate it. Call us today! Are you are looking for the best dentist in Chicago, a neuromuscular dentist in Lincoln Park seeking relief from headache pain and migraines, a cosmetic dentist in Lincoln Park looking to improve your smile or a dental implant dentist in Chicago looking to replace some missing teeth? Chicago dentist, Dr. Ronald Widen can be best dentist in Chicago for you! Our halls are filled with before and after photos of completed cosmetic bonding and porcelain veneer cases. Lincoln Park dentist, Dr. Widen has the skill, the patience, the technology and the amenities to cater to your every need. Click on the menu above to see what we can do for you! I highly recommend Dr. Widen. He has been a life saver for me. I have been a patient since 2006. In addition to being an excellent general dentist, he has been able to relieve my TMJ and chronic headache, neck and shoulder pain by precisely measuring excessive muscle recruitment, identifying my optimal bite and creating an orthotic that finally allows my jaw to relax and heal. The process was involved and costly but worth every penny for the complete relief of suffering, particularly after trying so many other treatments that did not help – medications, PT, etc…He is a consummate professional and goes above and beyond in his care for his patients. If you are a TMJ sufferer, this is the solution you have been looking for. I’ve been seeing Dr. Widen for a little over a year now, and I wouldn’t consider another dentist as long as I live in the Chicago area. Although he’s been doing this for a long time, Dr. Widen actively keeps up with the latest in the industry; he’s never going through the motions or set in his ways. Nichole, his assistant, is also a pleasure to interact with and very kind. It’s very clear the practice isn’t focused on extracting profit but rather on helping people. Dr. Widen has helped people in chronic pain to regain their quality of life. Ask him about the people who’ve come to him unable to look up, unable to maintain a healthy posture, unable to swim, and you’ll be able to tell that he truly does what he does in order to help those people. Finally, Dr. Widen’s practice – yes, going to the dentist – is actually fun. I consider him a friend by now, and enjoy going in to see him. I created a Yelp account specifically to make Dr. Widen my first review, so needless to say, I can’t recommend him more highly. I have NEVER associated an awesome experience with a dental visit UNTIL this one. If you’re wanting a real review then here it is….don’t waste your time with any one else. Dr Widen and Nichole are without hesitation the best. I will continue to travel from Georgia for my dental care needs. I am a physician in the University of Illinois at Chicago hospitals. I visited Dr. Widen’s dental office for the first time about 3 month ago. I am not easily satisfied by something but you can say he has exceeded my expectations in every aspect. He is without exaggeration one of the best dentists I have ever seen and I have seen many! He is meticulous, detail oriented and extremely experienced. For him every patient matters like member of his family. His office is not one of those offices that a dentist works on 5 patients at the same time, going from one patient to the other and then coming back. When you have an appointment, his complete attention and time belongs to you. This decreases the number of patients that can be seen per day but makes your visit very personal. He spends as much time as needed on you and explains everything in details. Gives different options to choose from and never does something on your teeth that is not necessary. In emergency situations you can call him and he will come to the office for you. One time he was working on my teeth at 10:30 pm because I had problems and did not have time to come some other time. He is very well educated and up to date in dental sciences. He has extensive experience in aesthetics dentistry and has had lots of high profile patients with different dental needs. You can see him for any problem from simple cleaning to complicated esthetics surgeries. His office manager Ms. Nichole is very nice, attentive and experienced. Their goal is to make you feel comfortable and pain free as soon as possible. I highly recommend him without any reservations to anybody with dental needs. If you want to experience dentistry like never before please visit Dr. Ron Widen’s practice and you will see a first class dentistry which surpasses your expectations in any aspect. I honestly didn’t know what to expect, a dental hygienist? a quick consult? The mad rush we all face going to the dentist to have physical and emotional torture laid upon us patients? What I got was an experience I have NEVER received before from a dental office…ACTUAL MEDICAL SERVICE With answers!!!!!! Dr Ronald Widen was referred to me by my periodontist and after my visit, which I felt guilty for taking the doctors time, I was overwhelmed to the point I had to take a minute…this doc is old school where he spends TIME with you the patient…REALLY!!!!! From video baselines, to scanning for cracks and potential problems, Dr Widen is practically a one man show…Nicole, the office manager keeps it moving, or not moving…lol. I didn’t feel rushed, got explanations of issues I have had for as long as I’ve been consciously aware and felt like I needed to go get them sandwiches or Lyric Opera tickets!!!!! In this era of fast,fast,fast, this practice makes no sense. But as a person who cares for my teeth and wish to keep them for a while, this practice is the only option!!!! If you want to be treated like a human being and served like a king or queen, go here!!!! I am referring my family and anyone else who cares to be treated to a DENTAL SPA DAY…. I CANT SAY ENOUGH ABOUT THIS PRACTICE. PRICES FOR HIS SERVICES ARE COMPARABLE TO OTHER DENTISTS…YOU JUST GET ACTUAL, REAL LIFE PROFESSIONAL, INDIVIDUALIZED MEDICAL CARE!!!! HE DOES THIS SPOT ON!!!! He takes insurance but. like most, if not all DENTISTS, whom the AMA/ADA seemed to have forgotten concerning billing, you pay up front…money well spent!!!! !